OOoh them strawberries look delish.. Please please please can i have one? 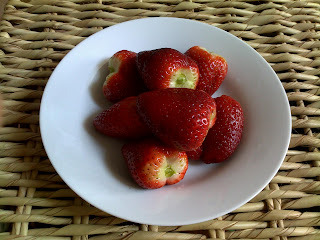 oh strawberries.. feels like ages ago I ate it last. I love them with vanilla ice cream! When fresh aren't available then frozen are SO good blended together with banana and water to make a smoothie!